I am an engineer who has worked in industry and government (Water Corporation). As well as undertaking planning and design work for Perth and WA’s water supply, I have undertaken a management role and been part of a governance committee. I am nominating for the School Board as I am keen to assist Campbell Primary in further developing its governance and reputation as a high quality school. I believe in the common-sense raising of children in order to strengthen families and communities. I have been on the Campbell School Board for several years, and sit on many other committees within the school. I have a background in Early Childhood Development, and work in Local government. My skills include protective behaviours, working with community and grant writing. My interests include Basketball, volunteering and learning about culture. I believe that all children should be given an opportunity to be the best they can be. As a parent and as school psychologist in the independent sector, I believe I can contribute to the school from both a parental (direct experience of the school) perspective as well as from an outside perspective as a psychologist. I am passionate about student learning and well-being, and I believe that schools’ role is not only about educating the child on Literacy and Numeracy, but also on developing the child as a whole, alongside parents, where possible. I look forward to contributing and collaborating with other members on the board to deliver the schools vision and goals. I am a Early Childhood trained Teacher and I am passionate about teaching and learning. I can speak , read and write Arabic fluently and would hope to use my skills to assist parents or other community members. I feel privileged to have been a staff member at Campbell PS since it opened in 2002. I have taught across a variety of 3-7 classes and have led in all phases of learning currently being responsible for the K-1 area. My leadership knowledge and skills provide me with the ability to inspire others to build positive and collaborative learning environments, ensuring quality learning opportunities for all students. As a school board member I will share my knowledge ensuring that Campbell Primary School meets the needs of the students and community. I am the Science specialist at Campbell Primary School and have held this role for the past 3 years. Having worked in the health industry both in the public and private sectors, in various administrative and technical roles, I bring experience in project management, auditing, policy writing and procedures, quality assurance, equipment commissioning and training and assessing staff. I have nominated to serve on the school board, as I see it as a great way to be involved in the continuous development and improvement of Campbell Primary School. I have been a parent representative on two of my children’s school boards and am an advocate for collaborative relationships with the school community and school board to improve student achievement and well-being. I am very proud to have been a staff member at Campbell Primary since 2003. During this time I have held a variety of roles including junior science, classroom support and FMS with the majority of my time being spent teaching Dance across the school. I am passionate about the Arts in primary school and the benefits for our students learning skills that they can apply across all areas of their lives. I have worked with the School Curriculum and Standards Authority to help develop the Arts curriculum for Western Australia, with a particular focus on Dance. This has enabled me to understand the ‘big picture’ and direction of Arts education in our state. Knowing every child at our school is my favourite part of my job. Watching them grow and develop their skills and confidence in their own abilities over time is a wonderful thing to witness. I hope to bring my understanding of our students and their needs to the decision making processes of the School Board. From 2016 Rachel-Sheffield has been a member of ISTE, International Society Technology Education, writing the new ISTE standards for students, teachers and pre-service teachers and presenting at the International Conference. She is familiar with a raft of innovative practices and how these can be embedded in classroom practice. In 2017 Rachel was involved in the DREAM project that worked with 135 primary schools in Western Australia helping teachers to develop their innovative practice in the Digital Technologies curricula. With a teaching focus is the promotion of STEM education, Rachel has a BSc in Microbiology, a Grad Dip in Education and a PhD which focused on evaluating change in education entitled Facilitating Teacher Professional Learning: Analysing the impact of an Australian Professional Learning Model. I have worked as a psychologist in the community, government and private sectors. 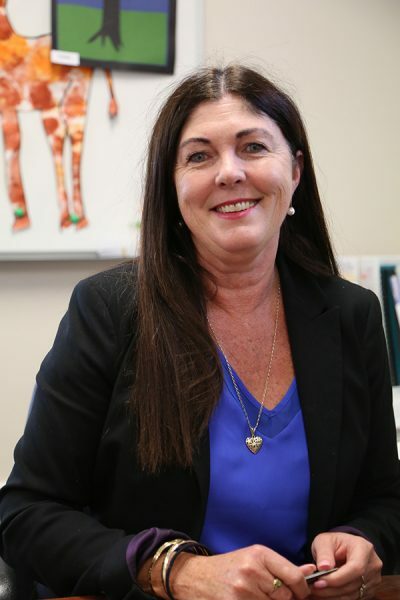 Since 2005, I have operated a private psychology practice in Canning Vale, which has grown to offer mental health services for children of all ages, adults and families. I have a keen interest in the application of mindfulness and a strong belief in the value of early intervention to facilitate good mental health. It is a privilege, through my work, to be a part of the “village” that supports children and parents in our community. I appreciate the very important role schools have in supporting children’s wellbeing and I am delighted to be a part of the school board. I look forward to sharing my knowledge of mental health to further enrich the wellbeing of students and staff at Campbell Primary School.